Almost everyone is familiar with the various forms of chemical tests available to law enforcement for determining whether a person is driving under the influence. Whether it be field-administered breathalyzer tests or more precise urine or blood tests, police officers have the means to conclusively demonstrate whether or not you are chemically impaired beyond the limits of the law. However, what many may not know is that before you even see those lights flashing in your rear view mirror you have already consented to submit to these forms of testing. In fact, you committed to complying with any law enforcement officials proper request that you submit to a chemical test the moment you got your driver’s license. All 50 states now have some form of Implied Consent Law. These laws state that by the very act of obtaining a driver’s license in your state you are agreeing to take a chemical test to determine if you are under the influence, provided that you are asked to do so in the correct way. This doesn’t mean that you automatically have to submit to a breathalyzer test if a police officer asks you to. You can still decline. However, by virtue of your implied consent, if you refuse to take such a test you can be subject to even heavier fines and other penalties. What is more, your implied consent carries over into any other state that you drive in. It is not limited to the state that issued your license. Your state’s Implied Consent Law can mean a lot of trouble for you if you are arrested for driving under the influence (or driving while intoxicated, etc.). Many Implied Consent Laws carry provisions which allow the state’s department of motor vehicles to administratively suspend the driver’s license through a civil action. 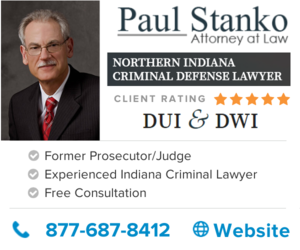 This is in addition to any loss of your license that you might receive stemming from the criminal trial of your case. Essentially, getting arrested for DUI can mean that you get punished twice (civilly and criminally). Implied Consent Laws exist for one reason. Your state wants you to take a chemical test without offering up any resistance. Why? Because it makes it easier for law enforcement to prove that you were driving under the influence. All chemical tests are designed to perform the same function – to measure the amount of alcohol in your bloodstream (BAC). These chemical tests, when administered properly, are fairly accurate and can be used as conclusive evidence of your blood alcohol content being over the state’s limit (usually 0.08%). Without this conclusive evidence, the court has to rely on the arresting officer’s judgment as to whether or not you were legally impaired. Taking a chemical test helps to strengthen the case against you (if you are over the limit), so of course, the state has good reason to form laws to pressure you into being compliant to take them. Unfortunately, many of the Implied Consent Laws stipulate harsher punishments for individuals who refuse to take the tests than what you might receive if you are actually convicted of DUI. Because these laws are so strict, the best bet for a person charged with DUI is to get a good attorney who can defend the case, possibly exposing errors in the way that you were asked to take the test or in the way the test was administered. Copyright © 2019 Peace Pledge | Theme by SiteOrigin.